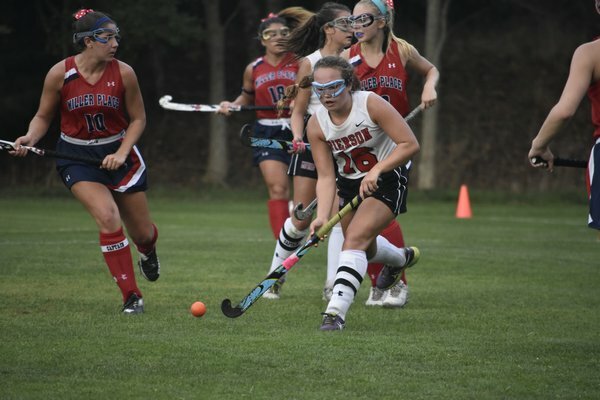 Pierson’s athletics for the 2018 Fall season were spectacular. There were great achievements across all high school sports, from both the Varsity and Junior Varsity teams. We had an impressive number of students who qualified for state championships, as well as students who made Pierson history! The Lady Whalers field hockey team won their fourth consecutive Class C title after winning a tight game against Port Jefferson 1-0. The four seniors, Charlotte Johnson, Paige Schaefer, Olivia Aupperlee, and Sophia Bitis, led their team throughout the season. Both Charlotte (Duke) and Paige (Lehigh) will be pursuing their field hockey careers at the collegiate level. Our girl’s volleyball team performed very well throughout the season as they appeared in their third consecutive Class C championship game. They played against Mattituck, a team which had previously been a Class B team, in early November. Unfortunately, the team could not find the magic they had found in last year’s Class C championship against Stony Brook. Pierson was represented in the New York State Cross Country Championship by three students, junior Peter Schaefer, and sophomores Ben Mac and Penelope Greene. The meet took place at Sunken Meadow State Park in Kings Park, Long Island. In the boy’s race, Peter Schaefer had a respectable time of 20:12, placing him 116th out of 131. Ben Mac placed 75th with a time of 18:48. Penelope Greene had an admirable performance in the girl’s race as well. She placed 55th out of 130 runners. These athletes proved themselves this Fall by reaching the final race in the season! This year was the first year that Pierson football players competed alongside the Southampton Mariners. Junior Dimitris Barranco and Sophomores Hudson Brindle and Richard Barranco proved themselves at the Varsity level, each earning a starting spot on the roster. They also helped reclaim The Mayor’s Cup, a trophy Southampton High School hasn’t held since 2005. Although their record did not show it, these boys helped their team vastly. Pierson’s Henry Brooks qualified for New York State’s Golf Championships with his performance at the Suffolk County Championships at Rock Golf Club in Manorville. Henry had to have one of the top nine scores out of all of the competitors. He shot an honorable 82 in the first round, however, his second round started a little rough. He shot 11-over par with a score of 46 on the first nine holes. He quickly gained the confidence he needed to end the day with a score of 82. Brooks watched as his competitors finished, and realized he was not finished yet. He entered a playoff on the tenth hole with Commack’s Brad Castaldy. Brooks went for par on this hole, as his competitor had a bogey. Although his journey wasn’t as simple as he may have wanted it to be, he made Pierson history by becoming the first golfer to qualify for the State Championship.